6. Terror Pigeon! – Girl! 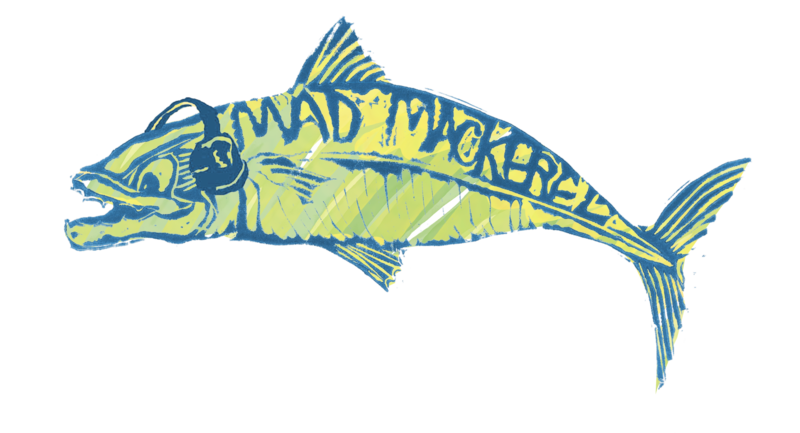 Although we now have a regular Video of the Day post on Mad Mackerel, we still can’t keep up with all that we’re being sent and here are a few more of the videos we would like to have featured well before now. Face-melting UK four piece Trails are making quite a name and quite a noise for themselves. Latest video is for new track Is My Purple Your Purple?, which they are also giving away as a free download. Keston Cobblers’ Club release their debut album One, For Words on 27th August. This is the video for For Words, a sweetly harmonious, banjo led folk song. You can also download it below. Palpable is the beautiful new single from the folky I Am Oak which is a rich and dynamic taster from forthcoming album Nowhere or Tammensaari. The video is equally easy on the eye. Here is Bleached playing street session versions of Dazed and Searching Through The Past for They Shoot Music in Barcelona during the Primavera Sound Festival. South London’s quirky indie-popsters La Shark are currently creating quite a buzz for themselves and new single Mr Modern Man comes with a characteristically wry video. The debut release from Brooklyn four-piece Fast Years is garage rock and surf pop that feeds the soul. With influences ranging from The Sonics to The Exploding Hearts and The Vaccines, Young Heart is the single taken from their forthcoming debut EP Women. And while we’re on the topic of garage rock, here is the King Tuff video for Bad Thing. Call The Doctor are amassing a significant amount of critical praise for their hi-energy pop songs with Sid Vicious attitude. Closer To Home is their latest single. Singer songwriter David Reynolds moved to Alaska in search of adventure and music. In Ketchikan, he developed his craft as a commercial fisherman by day and musician by night. His third release, the Evergreen EP, dropped on June 4. On Memorial Day, Reynolds released a music video for the first single from the EP, a song dedicated to active duty and veteran troops titled In Full Uniform. British indie darlings Summer Camp have a new EP called Always due for release next week. This is the title track. And lastly we have this from Danish artist Emil Friis, it is a little piece of video noir, if you will, and a killer song too! Six more artists and seven tunes to brighten up your Sunday. From the garage reverb of King Tuff to the mournful acoustics of Sun Kil Moon to the punk clatter of Pangea and the rootsy rock of These United States. Courtesy of Aquarium Drunkard we have two covers by Wooden Wand as he takes on punk rockers Born Against and the quirky pop of Jonathan Richman (more information here), and finally the excellent earnest and pensive folk of Old Bricks as they prepare to release new album City Lights.